A granita is an Italian semi-frozen dessert made from sugar, water and various flavoured ingredients. 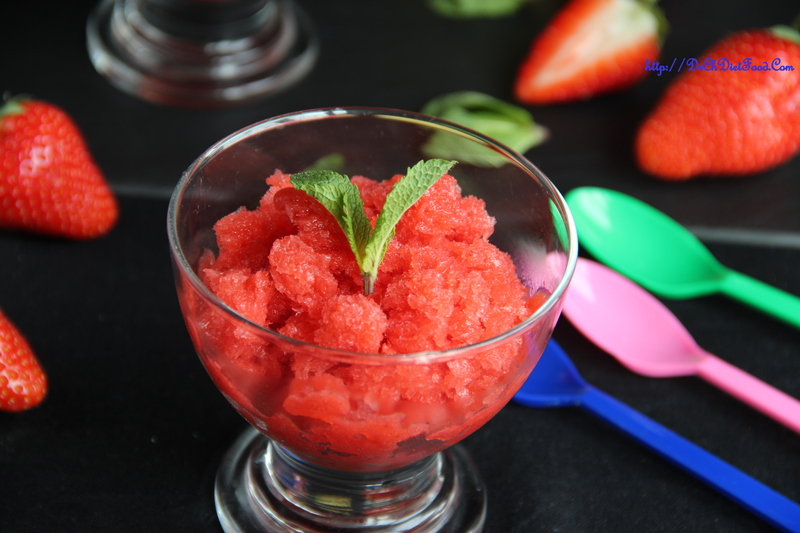 I love making granitas from berries, such as raspberries, blueberries and strawberries! Frosty and light, each spoonful is bright and refreshing, capturing the sweetness of the berries balanced with a hint of honey and tangy lemon flavour. Combine the sliced strawberries, honey, lemon juice in a blender/food processor and process until smooth. Pour the mixture into a freezer safe 13x9inch baking dish, cover and place in the freezer. Once set remove from the freezer and stir with a fork to break it up and scoop into individual serving dishes or glasses. For vegan option replace honey with maple syrup or alternative sweetener of choice. Ok, if you want to get fancy, you can add all kinds of toppings. Posted on May 8, 2015, in Juices/Beverages and tagged Top 5 Fruit sweets. Bookmark the permalink. 43 Comments. What a great recipe for the Summer! that looks really beautiful and I see you are generous – you’ve got three spoons next to the granita ! This sounds great–so simple, too! I like that it’s sweetened with honey! I love Granita’s and these look great. This picture of the granita made me just want one . Also this pic was such a great reminder that the summer is arriving. 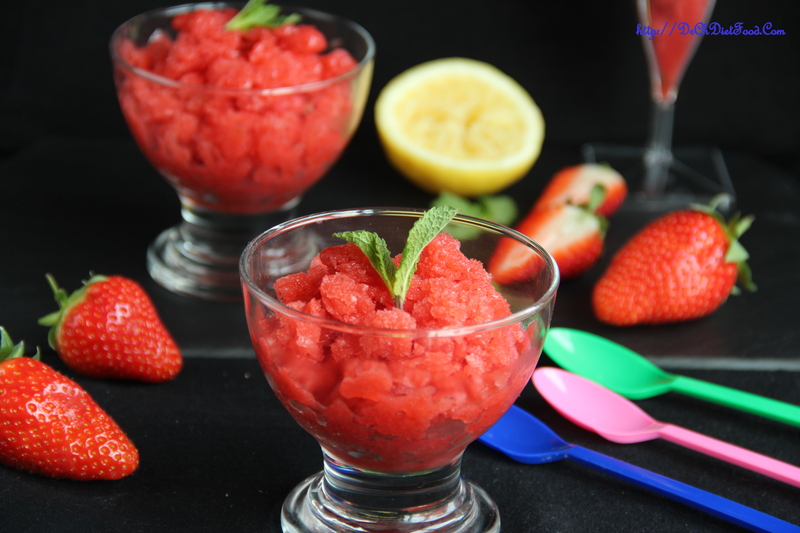 I love strawberry granita, sometimes I add some Vodka to it !